This is a GM Camaro 1993 - 1997 model hood latch this mounts to the core support which you trigger by pulling to open the hood. Latch includes the mounting bolts also GM. This unit does have some light surface rust but no rot at all. Ready to install and go! Be sure to check the many other hood relelated items we offer! This hood release latch mounts to the engine bay and you pull this to release the hood when opening it. 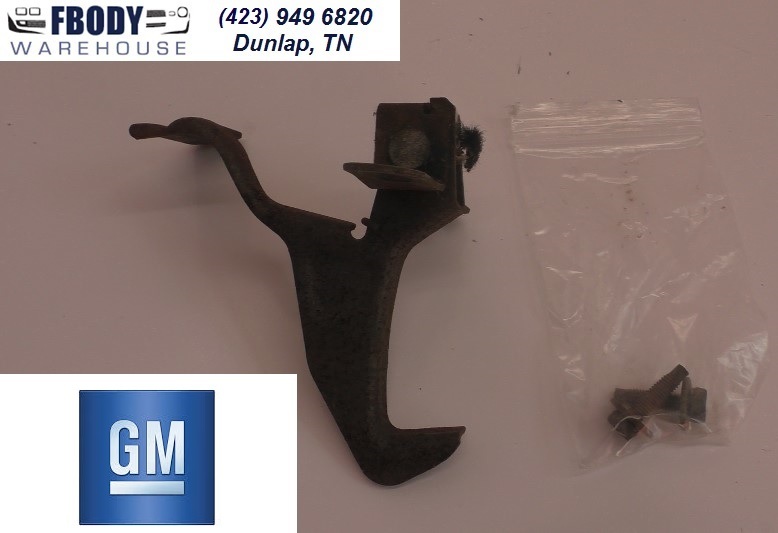 Held in place by 2 bolts which are included this is a great used GM unit. Install and go on your 1993 1994 1995 1996 1997 Camaro!